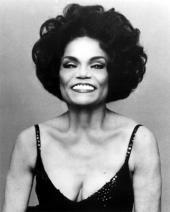 Entertainer Eartha Kitt is one notable figure who still is active in her senior year. Click the image to see other celebrities. Not yet, aging researchers say, but medical breakthroughs to significantly extend life and ease the ailments of getting older are closer than many people think. Harvard Medical School professor who has made headlines with research into the health benefits of a substance found in red wine called resveratrol. Speaking on a panel of aging experts, Sinclair had the boldest predictions. He said scientists can greatly increase longevity and improve health in lab animals like mice, and that drugs to benefit people are on the way. "It's not an if, but a when," said Sinclair, who co-founded Sirtris Pharmaceuticals to pursue such drugs. The company, which is testing medicine in people with Type 2 diabetes, was recently bought for $720 million by GlaxoSmithKline, the world's second-largest drug maker. Sinclair said treatments could be a few years or a decade away, but they're "really close. It's not something (from) science fiction and it's not something for the next generation." The discussion of aging was a closing event of the first World Science Festival, a five-day celebration of science for the public that brought together researchers ranging from biologists to quantum physicists. Participants included Nobel laureates, business leaders and philosophers. At the longevity event, hundreds of people young and old packed a sold-out New York University hall, including actress Jane Fonda, who turned 70 in December. Aging, particularly aging well and staying healthy, is increasingly a hot topic as the population grays, people live longer and tens of millions of baby-boomers enter or approach their 60s. The experts here Sunday night said aging research, once a backwater of science, is experiencing an explosion of interest and optimism. The session began not with talk but with song, as jazz legend Marilyn Maye strode the stage and belted out "Celebration" and "Don't Nobody Bring Me No Bad News." Maye said that most of her life she's been coy about revealing her age, but this year she admitted that she turned 80 in April. Maye, who sat on the panel, said the biggest aging myth is that "cosmetic surgery makes you younger. I think attitude is the thing that keeps you young. And energy and activity and just keep moving." Robert Butler, a pioneer of aging research who won the Pulitzer Prize in 1976 for the book "Why Survive? Being Old in America," agreed that "people live longer and better by having a sense of purpose." He said that while medicine and biology are important for longevity, having friendships and close relationships also have a big impact. Butler said a revolution in longevity has already arrived, noting that in the last century life spans increased 30 years, more than in the previous 5,000 years of human history. Given the latest research, he said, more resources must be devoted to understanding the biology of aging, since "with one pill, we might be able to do a lot for many different conditions." Some of that research comes from Richard Weindruch, a professor at the University of Wisconsin and director of LifeGen Technologies who studies how extremely low-calorie diets affect aging. Weindruch said his research, which began by showing how consuming little food could greatly increase the life spans of mice, moved on in 1989 to a long-term study on monkeys that can live up to 40 years. "Just now we're starting to see statistically significant improvements in survival and resistance to disease and favorable effects on brain aging," he said. He said his team hopes to publish these results soon. Sinclair said that based on Weindruch's work, he set out a decade ago to find the genes involved in caloric restriction and find a pill that can provide the benefits "without you feeling hungry all the time." He described how his research found that mice given large doses of resveratrol "live longer, they're almost immune to the effects of obesity. They don't get diabetes, cancer, Alzheimer's as frequently. 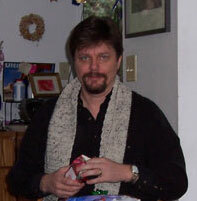 We delay the diseases of aging." Sinclair showed video of mice on resveratrol running on a treadmill far more vigorously than those who didn't get the substance. He called them "our Lance Armstrong mice." A large dose meant the equivalent of a human drinking about 1,000 bottles of red wine daily, he said. While the implications of the 2006 study for humans was uncertain, the news set off a surge in sales of dietary supplements containing resveratrol. Some scientists warned of its unproven effects and raised safety concerns. Sinclair has said that he has taken resveratrol supplements, but at the longevity event he cautioned that right now there is no proven magic pill to extend life.